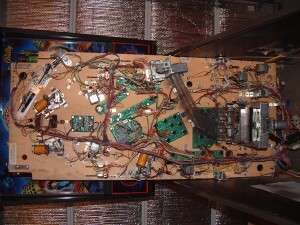 No pictures, I left the camera out in the shop, but re-assembly has started on Doctor Who. All of the targets on the Time Expander test as working, but I won’t know for sure until I have it all reassembled and play a few games. The right lock is refusing to work atm, but with luck it’ll just be a loose wire. First, a slightly slow, but very informative promotional video for the game. I recommend watching this to anyone who hasn’t played Doctor Who much and wants to compete in the tournament. 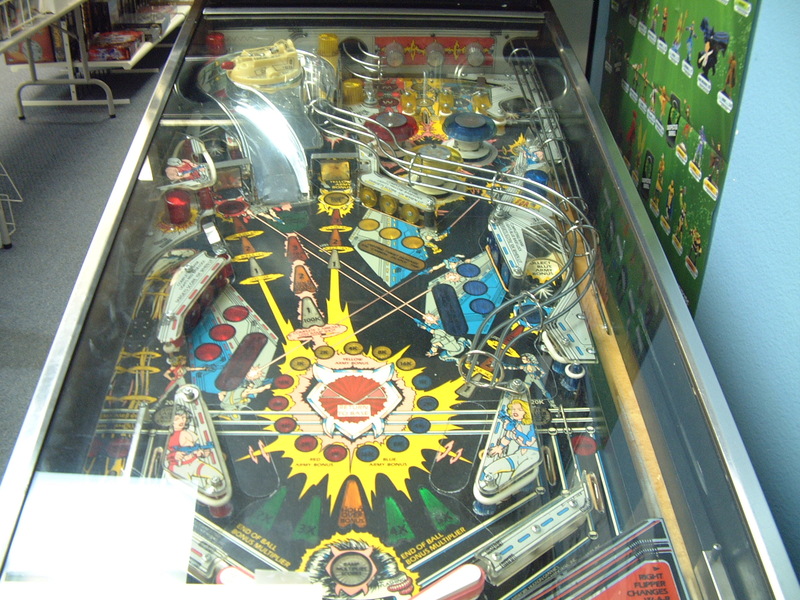 And second, a page I found a few days ago that contained a lot of information about the game that I hadn’t known, from Bally/Williams pinball programmer Pfutz. I actually like the origional cabinet better, but that’s me speaking as a Doctor Who fan. 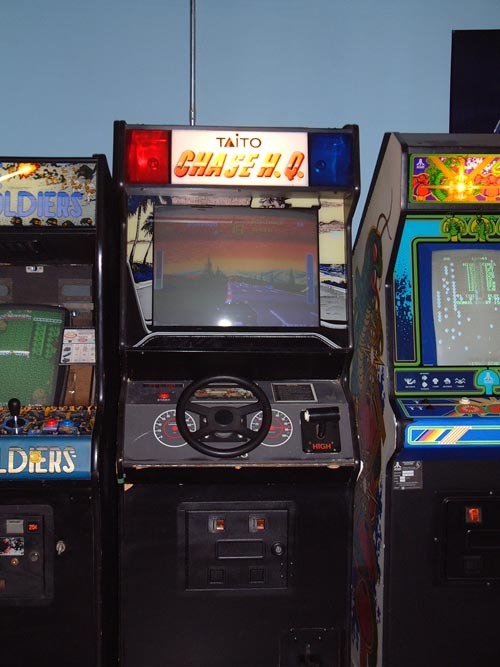 As an operator, the cabinet they used would be much more eye catching in most arcades. More news tomorrow, if not sooner! First of at least two changes in the arcade this week, as Dig Dug leaves (and is available to play on the Namco Classic Collection Volume 2) to make room for Captain America and the Avengers! Finally, a comic book related video game! Cap is a personal favourite of mine (and anyone who knows me knows I generally don’t like side scrolling beat-em-ups), costing me a small fortune in quarters when it was new. In other news, still no word on the replacement board for Doctor Who. As soon as we have an eta on the board arriving, I’ll post an update. Finally, the Namco Classic Collection volume 2 control panel will be going in before Monday. 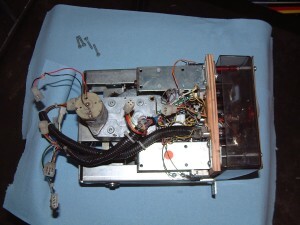 There was a defective part in the joystick, so getting it done has taken longer than expected. 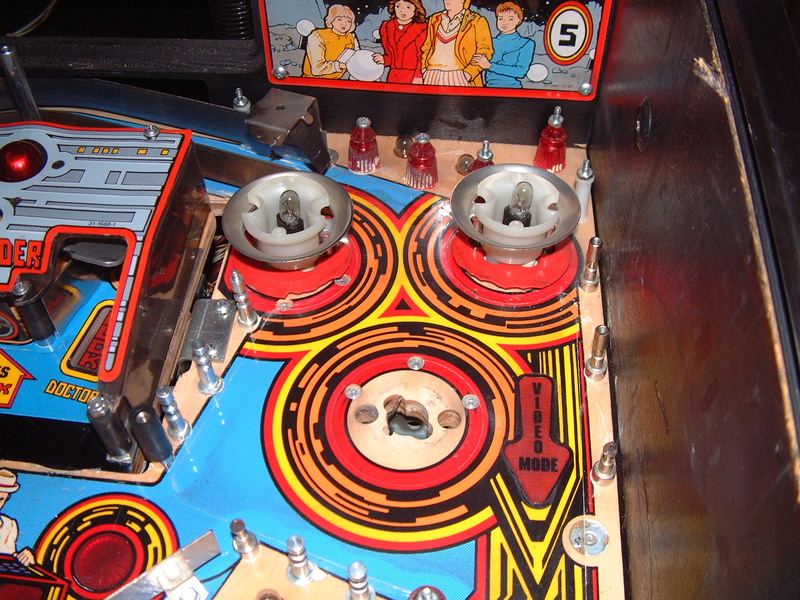 Next post should be this week-end (Monday at the latest) with an update on the Namco controls and the upcoming pinball tournament. As you may have noticed, Doctor Who is out of order. Again. 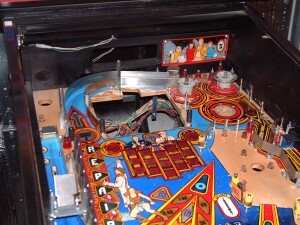 Not finding anything obvious wrong with the board, so going to call around and see about getting it looked at by someone more qualified, or even professionally repaired. Too many people like that pin (myself included) for the amount of downtime it has. Beginning work on Captain America and the Avengers in the afternoon. Should be quick to get up and running, but I’m working on a broken toe, so it might take longer than I want. 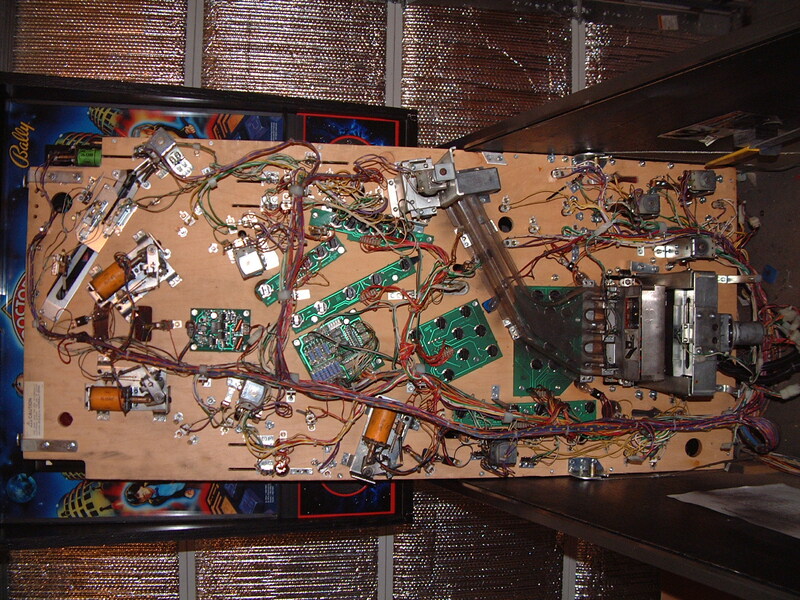 I’m also going to try to finish up the replacement wiring for the Namco Classics with Pac Man (so it can finally be played two player…hooray!) today as well, since I can do that sitting down, assuming the cat lets me. Finally, if you havent seen the news, visit www.tron-sector.com. It should come as no suprise that I’m excited about this one! A combined Robotron and Joust machine. 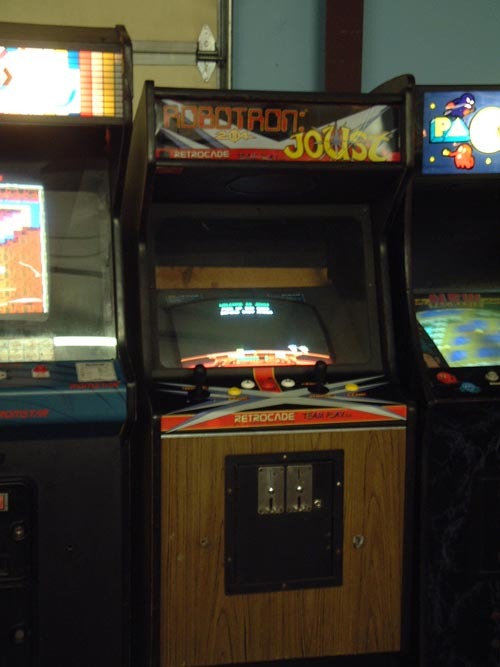 Robotron is the single most requested game to be added to the arcade, and Joust is one of the best two-player games ever made. Remember, you can play Joust cooperatively OR competitively! Defender and Defender 2 (which many will remember by the original name Stargate). 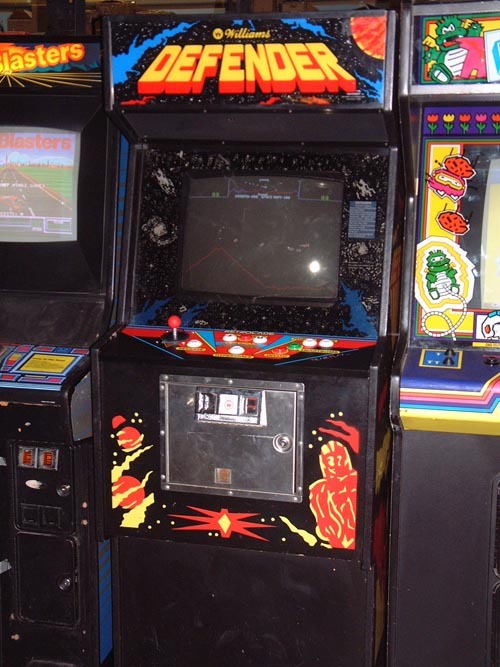 I have never had good luck keeping Defender running, so being able to add it back to the arcade with more reliable technology, as well as the additional ability to play the even harder sequel, made me very happy! Chase HQ is now working again as well, although it is having some sound problems. I hope to have those figured out soon. We have also replaced several marquee lights and made some minor repairs. Over the next few weeks we will get more repairs and cleaning done, give the pinball machines the TLC they need, and maybe a few surprises! Welcome to the online home of Phoenix Nest. As I get up to speed with this, expect posts related to maintenance and game rotation in the arcade, reviews of classic games, news from the arcade world, and anything else that bubbles to the surface of my brain as being in any way relevant. Currently, the maintenance on the games is not what we would like, and really hasn’t been since we sold the store. As many of you know, we also personally moved around the time we sold the shop, and weren’t adequately prepared for the logistics of living farther away and not coming in every day. As soon as we are not snowed in we plan to rapidly address some of the outstanding issues, and go from there. If all goes as planned, and these are mostly classic games we’re talking about here so keep that in mind, it should take one to two weeks to go from the 7 non-working games we have now to four (the three vector games, and Laser Wars). Then we will start addressing cosmetic issues, minor issues, DK3′s monitor, and fixing the vectors. Last, because I don’t want to start boring you just yet, please welcome our ‘newest’ game, Arkanoid. This is not the one I was restoring, because I went on Craigslist to look for a cabinet for another conversion and instead found a working Arkanoid. The cabinet that was going to hold Arkanoid will hold another game (or two), which should be announced soon. Next post will not be until I’ve done more work on the front page, as well as a great deal of work for the Docking Bay 93 website for Dan. Unless we get more games working, in which case I’ll be posting here as fast as I can.